Maloy Mobile Storage leads the industry of offices manufactured from a cargo container. Here are a couple of examples working with companies in need of a workplace. 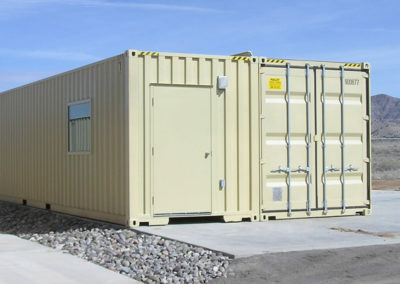 Maloy Mobile Storage modified two 8’ x 40’ high cube containers, so when assembled together they created a 16” x 40’ “Training Access Shed”. 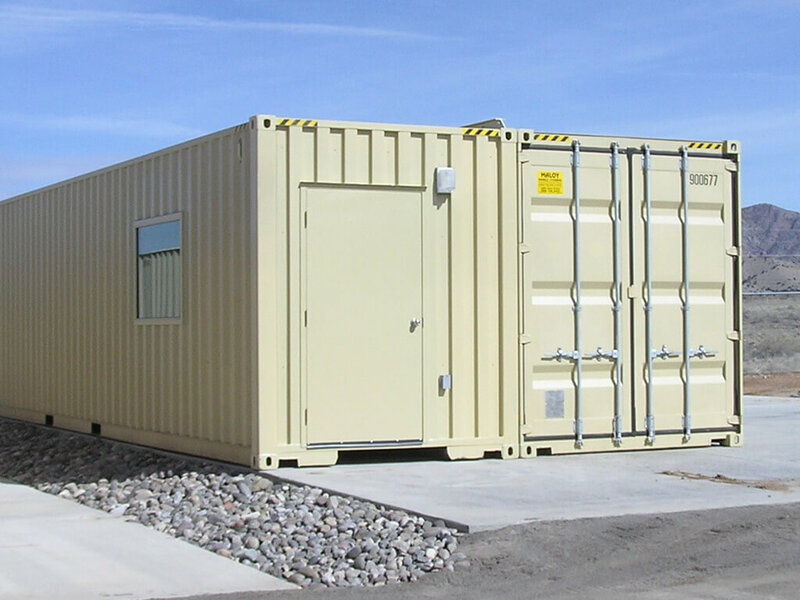 The 18’ of the side wall was removed from each container, structural supports were fabricated to fit and bolted together to provide a wind and watertight seal. 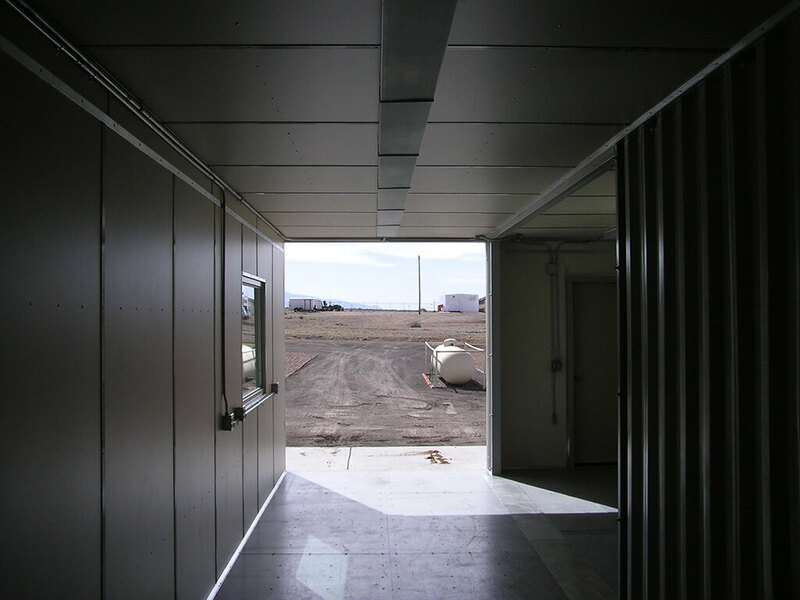 The walls and ceilings were insulated with 1½” Styrofoam insulation, and paneled with 5/8” Melamine Paneling and then trimmed with Aluminum Trim. 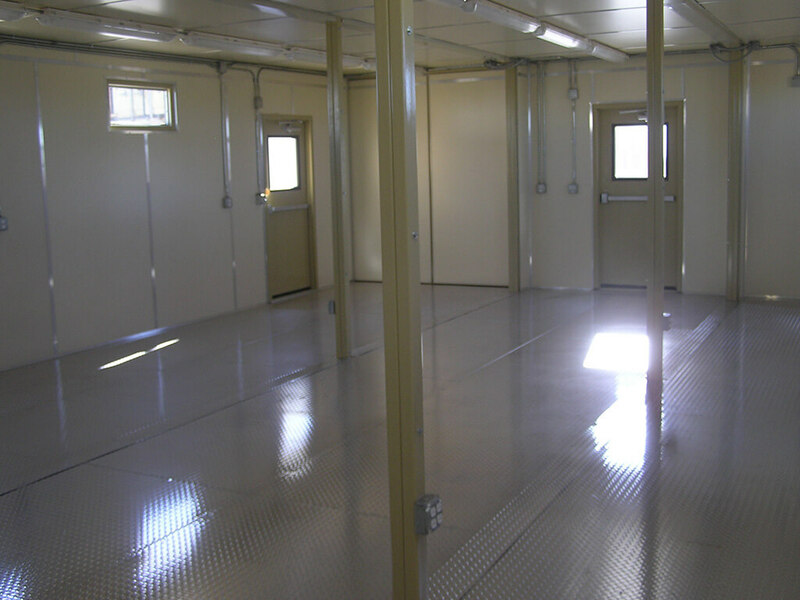 Floors were painted gray with acrylic urethane enamel paint, for additional protection, exterior was repainted with Quick Dry Alkyd Enamel paint. 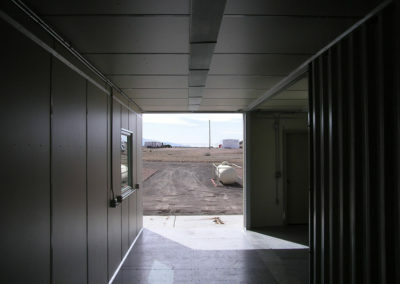 A 42” x 7’ Commercial Steel Personnel Door with lock knob and door closer was installed. Two 36” x 54” fixed double pane windows were put in. 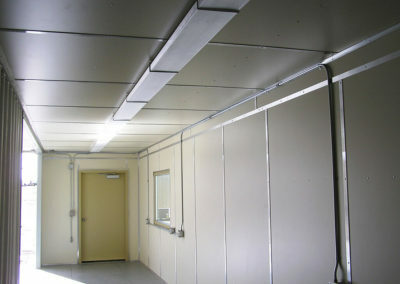 A 3-Ton HVAC wall mount unit was installed; utilizing galvanized air ducts to distribute air throughout the container. 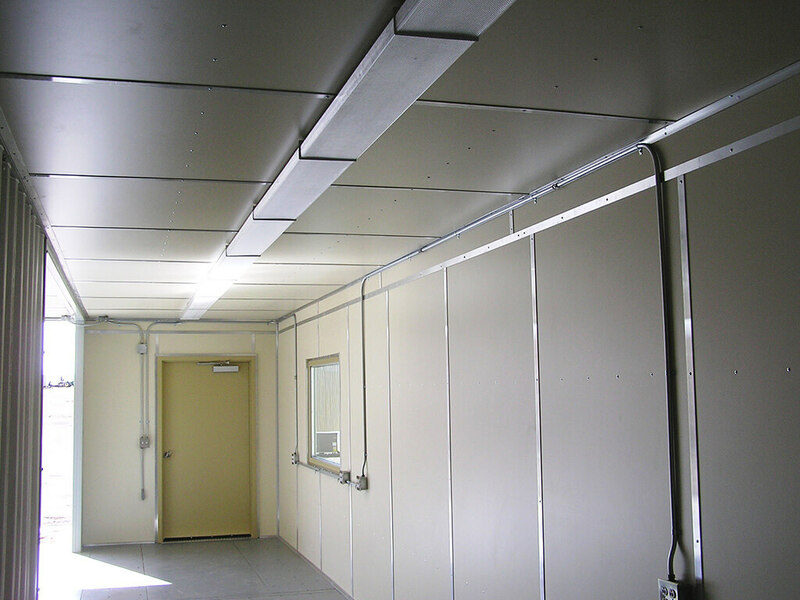 Electrical installed was a 100-amp load center, disconnect switch, light switches, receptacles and 4’ foot low profile wrap around fluorescent lights. 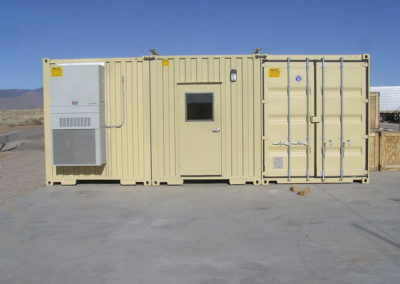 An ECARO 25 Sire Suppression was installed for fire suppression. A classroom is fabricated from three new 40’ High Cube Steel Storage Containers. 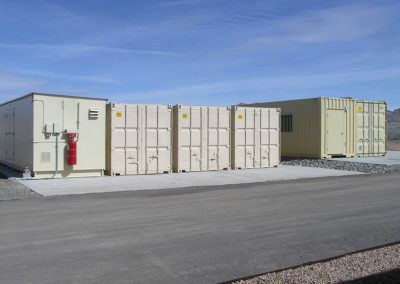 Modifications to these units included two 4 Ton HVAC Units which were mounted to the wall. 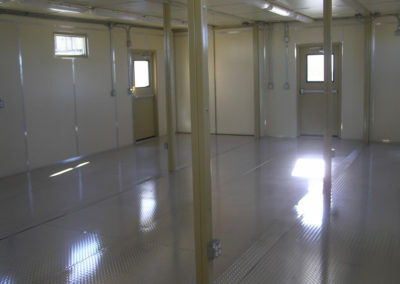 ESD flooring was installed on the interior of the classroom, as well as, four Fume Hoods. We Installed and bolted down five benches. A shop sink was installed and the plumbing routed to exterior. 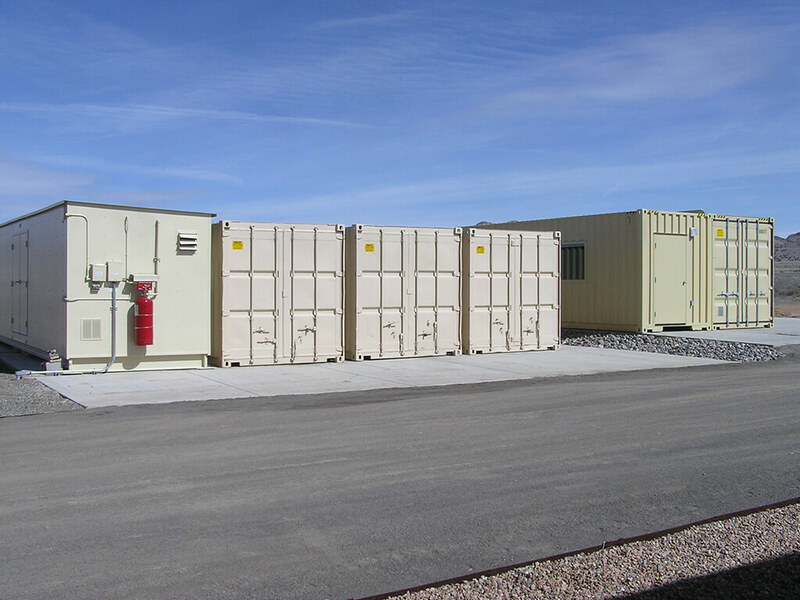 The electrical included an exterior Load Center 240v Single Phase 100amp. 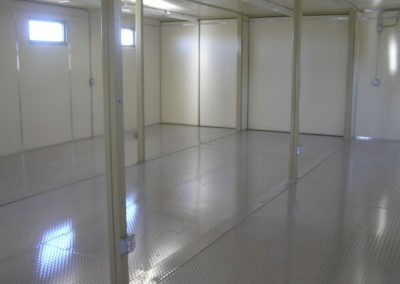 Five Double Duplex Receptacles for the workbenches, they were installed on the floor under the workbenches. Seven Duplex Receptacles alongside the walls. Three light switches for porch lights. Three porch lights, twenty-four 4’ 2 bulb dust and vapor light fixtures, and a four way light switch for interior light fixtures. 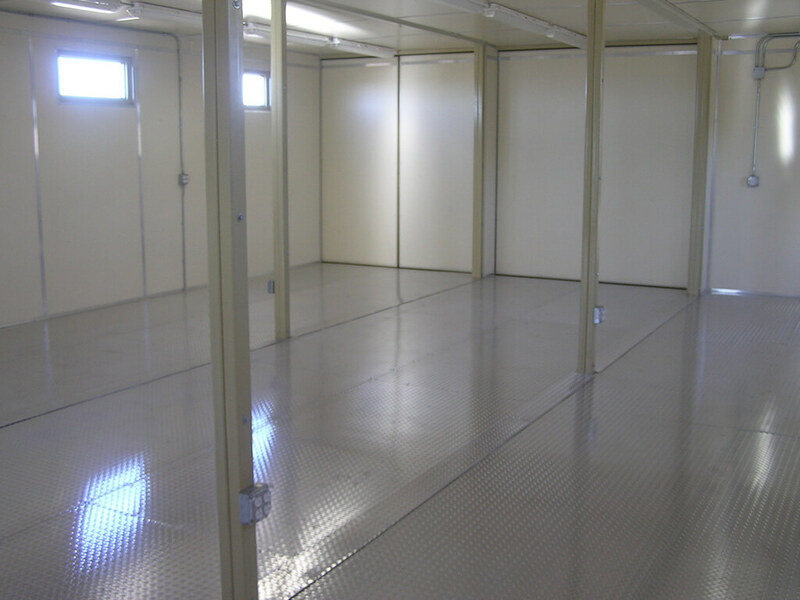 Maloy Mobile Storage can create the workplace solution of your choice. We have an excellent team. 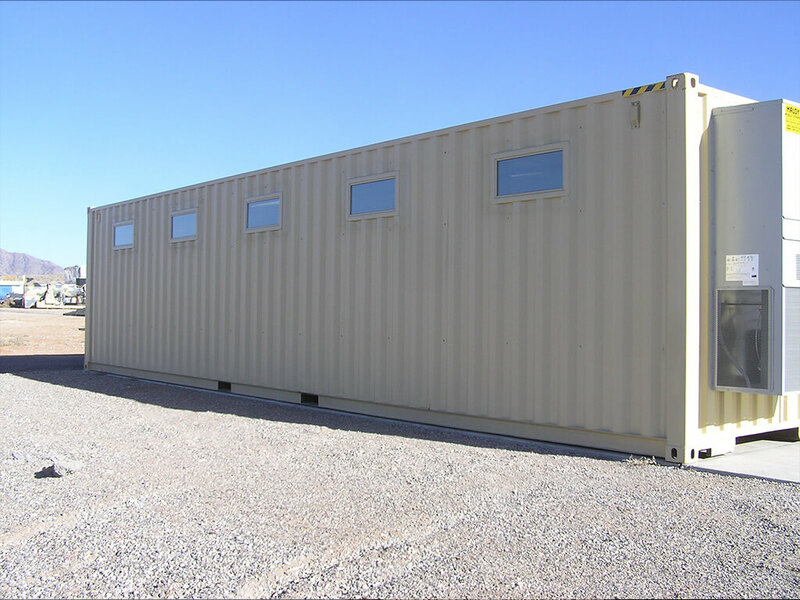 Give us a call 505-344-6123. We are happy to answer any questions.